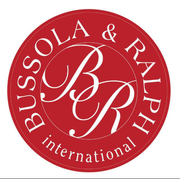 Bussola & Ralph International is an Italian company based in Italy-China-USA, specialized in conceiving and creating customized furnishing and fixture for shopping malls, boutiques, restaurants and high-end interiors. The heritage of the acknowledged Italian furniture manufacturing, combined to the top-standards of materials and an accurate project management, represents the consistent service that we offer to our customers, worldwide for over 30 years. The appreciation of our performances and the success of the projects we realized have lead us to extend globally our activity and today we are settled in Venice (Italy), Shanghai (China) and New York (USA). The globalization of our company brings to our clients the benefits of considerable savings on production timing, delivery and management, assuring the high quality standard that made our company one of the most well known in the field. Along the years we developed an experienced knowledge in the Fashion-retail, Residential and Hospitality sectors, and today we partnership with many important brands in the luxury market, such as Armani, Versace, Berluti, Jimmy Choo, Blumarine, Givency, Panerai, Vacheron Constantin, Jaeger-LeCoultre, Lange & Sohne and many more.